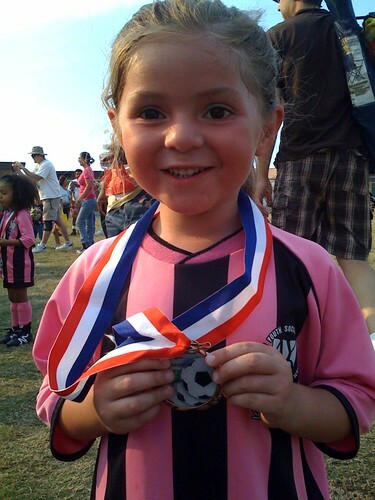 Farilla and I went to watch Lil' L's final soccer game of the season yesterday afternoon. We were lucky enough to catch her first and only goal of the year. Here she is saying "The Winner!" as I clicked this shot! Good game, Baby Girl! Totally righteous goal. She loved you being there as a witness to watch her make that GOAL...she was elated and would not stop talking about that. Loved seeing both of you there.